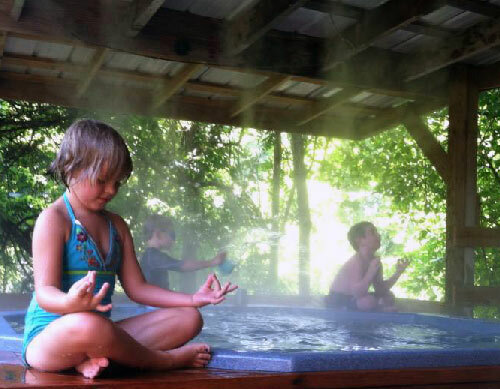 Come to where Mother Nature waved her magical wand and created one of the most natural of all wonders, Natural Hot Mineral Waters. Heated deep within the earth, these crystal clear carbonated waters are world famous for their mineral content and legendary healing powers. We pipe these waters to modern outdoor jetted hot tubs that are drained and sanitized after each use. Hot Springs, located in the mountains of Western North Carolina, and cuddled along the banks of Spring Creek and the French Broad River, is a town rich in history and beaming with natural charm, this town serves as an intersection along the historic Appalachian Trail and is part of the Southern Appalachian Mountains. 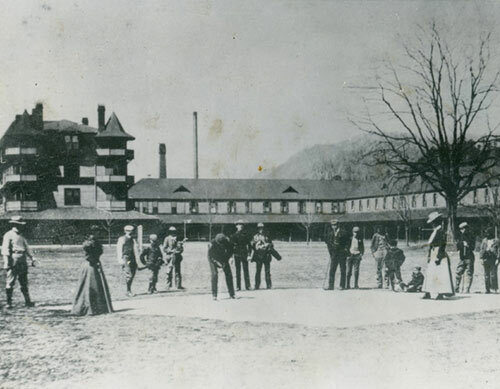 The heart of Hot Springs, North Carolina, is our 100 acre Resort & Spa. 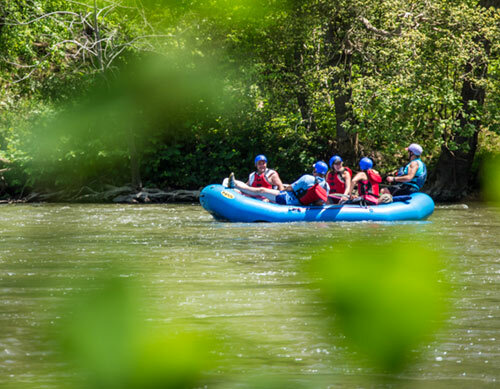 We feature jetted hot tubs, positioned outside along the tranquil banks of Spring Creek and the French Broad River; our tubs are supplied with a continuous flow of World Famous Natural Hot Mineral Water. We have a nationally certified & state licensed staff of massage therapists on hand to compliment your soaks or for separate service altogether. 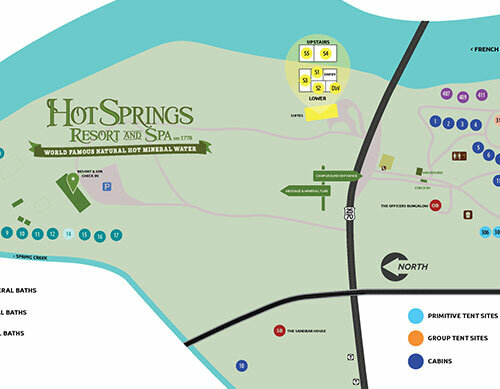 Located across the road from the Mineral Baths is the Hot Springs Campground. Here you can find peace of mind with ease and comfort. We feature eight primitive camping cabins, over a hundred tent sites (primitive, group & sites with partial hook up) & Full RV Hookups. On site comfort station features hot showers (seasonal) and clean bathrooms. Our beautiful grounds play host to several large events per year and we have the capacity for many more. 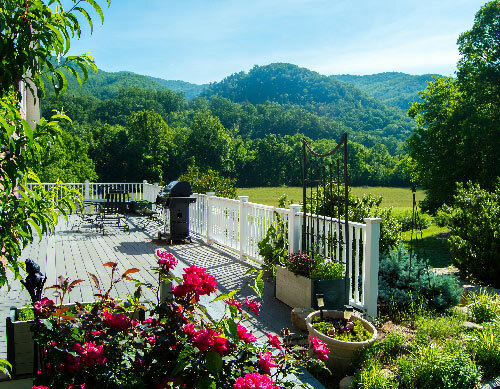 Whether you’re coming off a long hike on the Appalachian Trail or just passing through, you don’t want to miss the charm and beauty of the Hot Springs Resort & Spa. 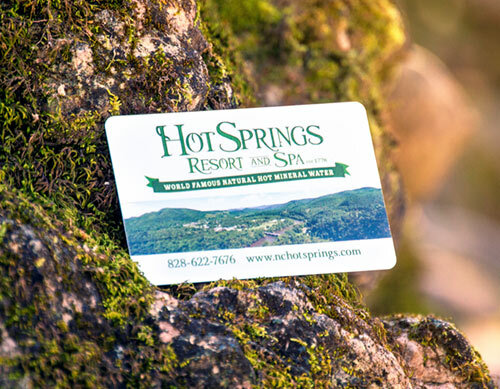 Hot Springs Resort & Spa also offers other lodging options for those looking for a relaxing getaway. We have four luxury suites that have a jetted tub with mineral water in the room. We also have a deluxe cabin with a full size outdoor jetted tub.